With over 10 years experience in music and events, Mia Margetic has managed the careers of award-winning, internationally recognised artists whilst simultaneously developing a creative portfolio through content commissioning, art direction and, most recently, an all-consuming love for ceramics and wheel-thrown pottery. 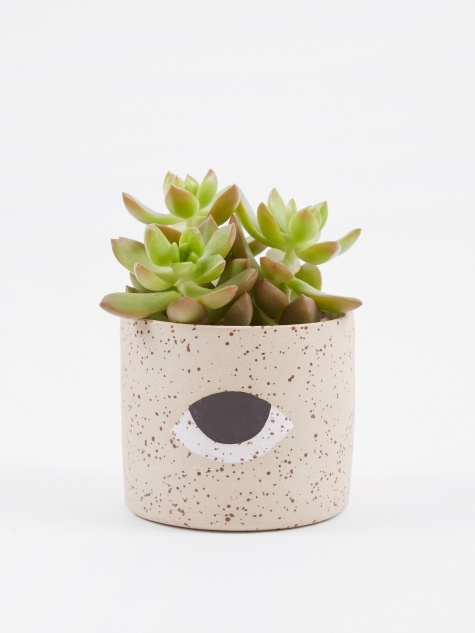 Individually wheel-thrown, her texturized stoneware plant pots are handmade in Barcelona, Spain. Each is individually finished off with a painted eye to the exterior and a white gloss glaze inside.